Petros Babayan strains to sit up as if each bone of his paper-thin frame were heavy as iron. His wife Lydia and adult daughter Rita rush to help him. In their tiny rented apartment in Beirut, his single bed takes up a quarter of the room in which they live and sleep. His large sunken eyes, dark against his paper-white skin, stare straight ahead as he focuses on breathing. “I don’t wish for anything more,” he whispers. He points heavenwards, before adding: “I am at peace, my family are safe.” Two of his children are in the US, one is in Sweden, and one lives in Baghdad. Eleven months ago Petros was diagnosed with cancer, and the couple’s focus turned to Petros’ health. “The doctor said he’s had it for ten years or so,” Lydia continues. The couple believes he contracted the disease through exposure to carcinogenic chemicals in the weaponry used during his 14 years in the Iraqi army. Some Iraqi officials have linked the use of chemical weapons in the Iran-Iraq war, and the use of depleted uranium by US and UK forces during the Gulf War in 1991 and the US-led invasion of 2003, to a sharp rise in cancers and birth defects. The US and the UK have disputed this. “We’ve had to pay for all Petros’ medical care,” Lydia continues. “I worked for eight years in Baghdad, I saved every penny – and spent it all on Petros.” Asylum seekers can access some healthcare through the UN Refugee Agency, the UNHCR, but may have to rely on charities or savings for other treatment. Lebanon’s population of around 5 million has absorbed more than a million Syrians and tens of thousands of Iraqis with resignation. While a few thousand Syrians who fled civil war have begun returning home, the Iraqis who have applied for asylum in the violent years since 2003 have begun to make their home in their dreams of the West: they have no Plan B. They are stuck, refusing to return to a homeland they say is radicalised, and not yet permitted to resettle elsewhere. The families World Watch Monitor met in Lebanon had spent several years applying for asylum and had relatives in Canada, Australia or the US. Thousands of Iraqi Christians have been granted asylum in the West. 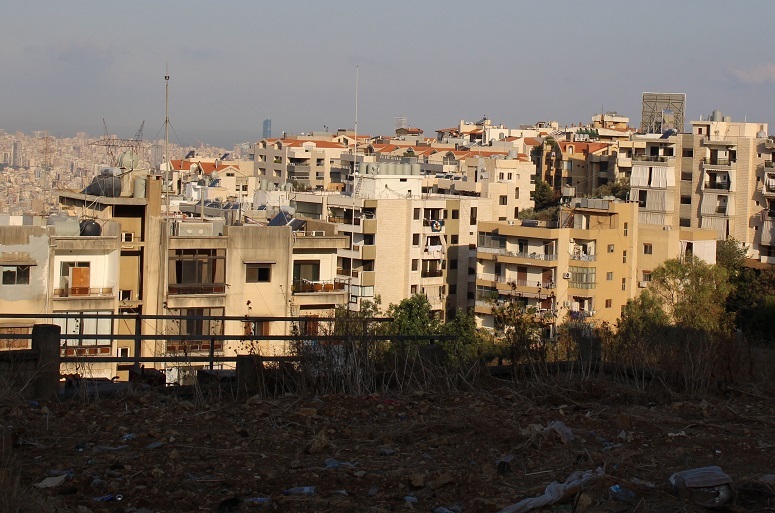 Although Lebanon is linguistically and culturally close to Iraq, it does not encourage its asylum seekers to stay, and their experiences on the fringes of its economy, and their impressions of the West, have made them conclude that the better life lies outside the Middle East. Yet the financial and psychological impact of years of waiting is taking its toll. Because Lebanon has not signed the 1951 UN convention on refugees it views the Syrians and Iraqis as “displaced persons” whom it is not obliged to permit to work. Although Syrians are to be found across Lebanon, squatting in half-built shopping centres or in unofficial camps, some Iraqis consider them the lucky ones: Syrians have been given access to some parts of the job market that Iraqis have not. Meanwhile some Iraqis have found ways to make a living, either on the black market – as Hilal’s son has, instead of tailoring – or by being paid in “gifts”. Kevork and Lina have not related all the details to Sako. But they felt they had to tell him about the death threat against the boy’s life, to explain why they were fleeing to Lebanon. Sako blamed himself. He “cried and cried” when he learned that they were leaving because of a threat against his life, Kevork recalls. “It’s easier for an adult to adapt than for a child, who doesn’t understand,” he adds. Growing up as asylum seekers places considerable strain on the four daughters of Suha, a divorcee from the Nineveh Plains region of Iraq. The girls, aged 14, 12, nine and five, do not attend school, and stay at home with Suha’s elderly mother, rising at noon and whiling away the hours on phones and tablets. All six of them sleep in the one main room of what is a converted shop – the kitchen is squeezed on to the balcony, the fridge is broken, the electricity intermittent and the neighbours at times violent. Suha summarises: “We are living in hell.” Suha’s nine-year-old has frequent nightmares and talks in her sleep. She has been diagnosed by a psychologist as hyperactive, and quickly becomes aggressive. Her younger sister is beginning to imitate her. “The kids are always fighting,” Suha says. “I feel very anxious, it feels like I’m mother and father at the same time; it’s a big responsibility.” In Iraq she was a primary school teacher. Now she works as a cleaner six days a week. 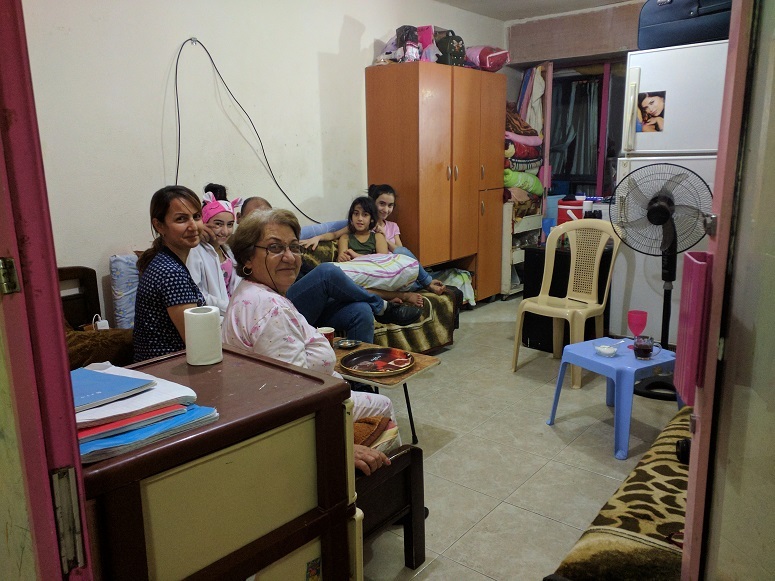 Although her nine-year-old saw a psychiatrist, charities offer therapy for only a limited time with no follow-up, says Raphael Koupaly, Vice President of the Chaldean Charity Association in Beirut and Refugee Relief Coordinator of the Chaldean Church, who visits the family and delivers food parcels and subsidies for rent and healthcare. Mr Koupaly has encouraged Suha and her eldest daughter to join their church choir, to add routine to an otherwise chaotic existence. 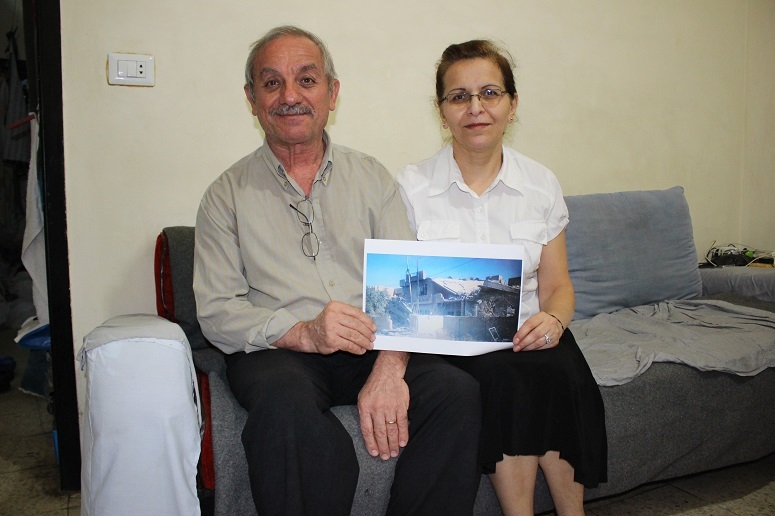 Suha’s husband left in 2014 – before the arrival of IS – when his son by his first marriage collected him from their home in the Nineveh Plains village of Telskuf and moved him into his house, in the same village. He paid Suha no maintenance despite intervention by their priest, and the UNHCR recommended that she file for a divorce to make gaining custody of the children easier. The agency also paid for a lawyer. Mr Koupaly says “the exodus to Lebanon has put pressure on marriages” and cites various Iraqi couples in Beirut who are splitting up. But a divorced woman is still a marked woman in Iraqi culture, which is one reason why Suha is looking for a fresh start in the West. She says Britain symbolises a place of security, where “women will have more rights … than in Lebanon”. She cannot think of living anywhere else or make any other plans. A current petition about what needs to be done to guarantee a genuine future for Christians in Iraq and Syria has been signed by over 600,000 people in 142 countries. It highlights the precarious situation for religious and ethnic groups in Syria and Iraq, calling for “equal rights, dignified living conditions, and a role for them in reconciling and rebuilding society”. After experiencing trauma, loss or rejection from their communities, these asylum seekers have placed their hopes in God and the UNHCR. Although some Iraqi Christians are willing to return home, these Iraqis cannot countenance doing so. They believe their former neighbours have been irrevocably radicalised, even though the jihadists themselves are thought to have left. Four days after World Watch Monitor met Petros, he died. Within hours, 20 or so mourners had attended his requiem Mass and burial. “If he’d died at home in Iraq, hundreds would have come to his funeral,” comments a European Christian who supports a number of Christian asylum-seeker families in Lebanon. For Petros the “Promised Land” remained a spiritual reality rather than a physical one. His family are safe, but scattered. 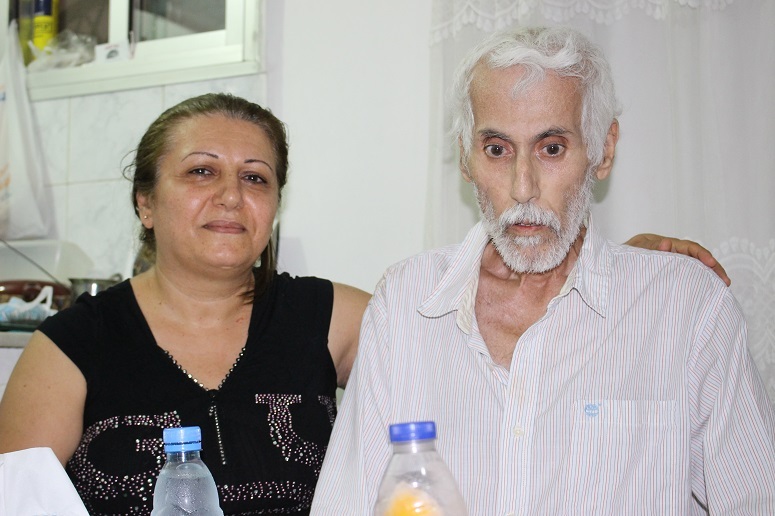 If his widow Lydia is granted asylum, she will not be able to visit his grave. The Middle Eastern Church’s massive loss over the last 14 years could be the global Church’s gain, enriching it with ancient traditions, new narratives, different experience of other faiths and, in the case of pastors such as Kevork, a formidable passion for evangelism. Scholars and others fret that Eastern traditions may blend within a generation into Western denominations or even secularism. But as the Seyfo histories attest, these are Christians with long memories. Meanwhile those Iraqis who have given up on their home country and placed their hope in asylum in the West feel the ongoing economic and psychological strain, and can but wait.